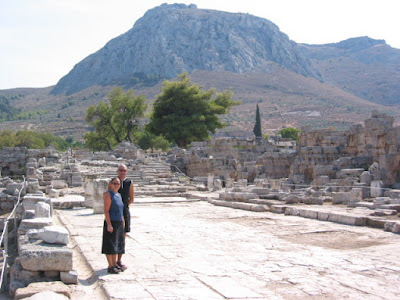 We enjoyed our time at Ancient Corinth, though modern Corinth was fairly average! 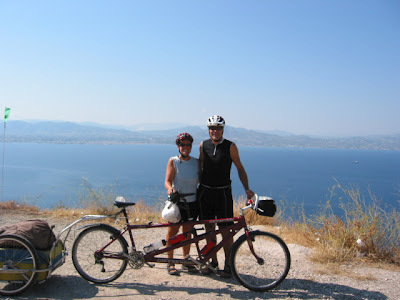 This first photo is taken in a street in Ancient Corinth with a fort called Acrocorinth in the background (top of Hill). 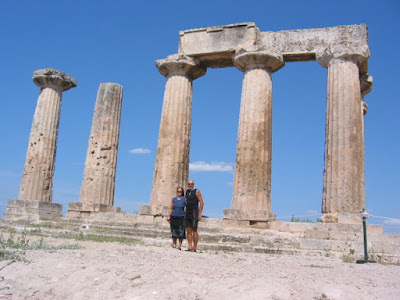 The Temple of Apollo is next - awesome! 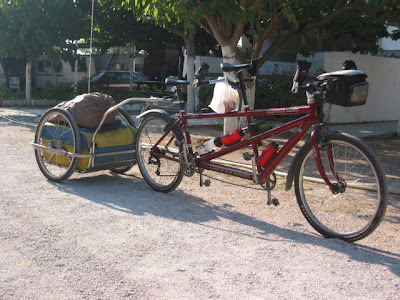 Our bike is sometimes able to stand on it's own two wheels . . . . the plastic bag hanging from Sandy's handle bars is filled with food and is affectionately known as our "nose bag". 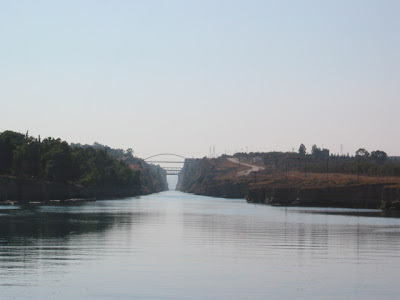 Mainland Greece and the Peloponnese are joined at an isthmus so some bright spark has built a canal to allow ferries and other boats to pass between the Gulf of Corinth and Saronikos. Trains and vehicles can travel overhead as shown at the far end of the photo. 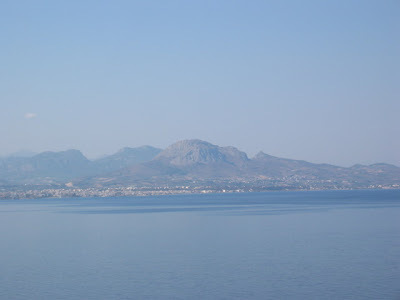 The last two photos are taken with Corinth in the background as we left a few days later.